How about a flexible and self-cleaning cellphone? 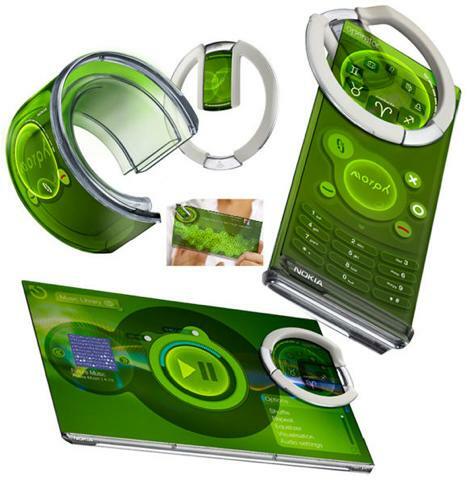 The future concept cellphone Morph is the result of a partnership between Nokia and the University of Cambridge and provides some insight about the possibilities of nanotechnology. As the concept was launched it was also presented as a part of the exhibition "Design and the Elastic Mind" (February 24 to May 12, 2008) at The Museum of Modern Art in New York. Read more details in this Treehugger article article where there is also a nice presentation video. Why an art museum? Well, the idea in this joint research project has been to combine art and science; the artistic vision generates ideas that stimulates scientific development. It will take years before we have phones like the Morph but creating concepts from ideas born at the intersection of art and science is an excellent way of exploring possible applications for nanotechnology. Convergence and cross-pollination of cultural fields is probably the most common way of inventing new art forms. Game art is one such intersectional example. Basically it is art inspired and/or expressed by computer games. It has been a field of experimentation for about a decade but apparently it is gaining ground. The development of the field follows a well established pattern – photography was quickly embraced by artists and so was video technique. The computer game genre also has everything it needs to be used for artistic expression. Not only technically and visually; to many people born in the seventies and later allusions to classic computer games are probably as relevant and meaningful as literary references. Furthermore - the fact that it is a combination of two fields opens up for an explosion of new ideas and unexpected innovation. Watch this example on Youtube or check this archive. A while ago I read an article about a plan for micro loans to immigrant women in segregated Swedish suburbs. The aim is to fight unemployment in this group by helping them to start their own businesses. The inspiration, of course, comes from Bangladeshi Mohammad Yunus’s Grameen Bank. It struck me that this model, which is a designed for the conditions in extremely poor countries, is now put to use to solve problems in a very rich country. It is unexpected, but there is no reason why it would't work. Just as I was about to write this post I found this FT article that describes how Grameen Bank opens an office in New York. After having been copied by more than 40 countries the model now seems to move into the “rich” part of the world where there actually are many who can’t get loans from traditional banks. Yunus, quite rationally, sees this as a great business opportunity. To use old concepts in situations that they are not originally designed for is innovative in itself. What makes this case especially interesting is that the concept is exported from developing countries to western economies. We don’t see that a lot, do we? Last week Tom Barnett wrote the post Heightened immigration is a global phenomenon in which he refers to a couple of articles in The Economist about global migration and reports about, for instance, Poles in Ireland. (Very good articles!) He poses a question about integration policy which has stirred a rather typical immigration debate among his readers. Whatever the consequences of immigration are, Poland really is an interesting example that explains some reasons behind people movement: Ever since the country joined the EU large numbers of Poles have moved elsewhere for better paid jobs, especially to Ireland but also to Iceland and other countries. However, over the next couple of years Poland will be showered in EU money to stimulate the economy and there will be a huge demand for labour. This is not unproblematic since emigration to western countries has greatly reduced the work force. According to some analysts this “labour vacuum” will be filled with people from Ukraine and Belorussia. In other words migration drives migration. On the other hand, Philippe Legrain (to whom I have referred in this recent post), describes on his blog how the Poles are starting to return back home from Great Britain. That says something about how difficult it is to predict migration patterns. The Poland situation is only one example of the forces behind people movement. But whatever the reasons are, migration almost always causes controversy; it seems that for many people it is easier to find the negative aspects of it. I have said it before and I will say it again – it’s a pity that even among those who argue that migration is a positive phenomenon it is merely regarded as a matter of labour supply and demand. The idea that movement of people drives innovation is sometimes mentioned but rarely elaborated or used as a substantial argument. Yet there are many examples: It may be the invention of a new product, an old business concept that prospers in a new setting or award-winning research. It is far from difficult to find such examples. Researcher Richard Florida talks a lot about tapping the creativity of individuals and clearly moving from one context to another is an effective way of doing that. These processes would probably work even better if people had a more positive attitude towards immigration; if it generated less controversy it might generate more innovation. One of the most quoted examples in The Medici Effect is the ants-and-truck-drivers case. R&D engineer Eric Bonabeau met ecologist Guy Theraulaz and learned how ants find the quickest route to food. The result of the ecology-mathematics intersection that was born in that meeting was that Bonabeau a couple of years of hard work later helped introducing the new field “swarm intelligence”. Basically, the concept is to mimic the collective behaviour of swarm insects and in The Medici Effect it is described how such models are used to optimize different kinds of transport. But swarm intelligence has expanded rapidly and has turned out to be a very fruitful discipline with a growing number of rather diverse applications. Since it can be used to find the most efficient route for trucks it is easy to accept that it can also improve distribution of information on the web or optimize connections in telecom networks. However, there are more complex uses. For example, it can make groups of small, simple robots solve quite difficult tasks. 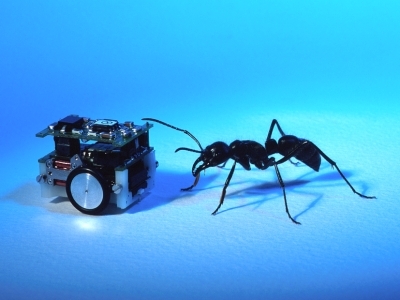 One of the pioneers in the field, Marco Dorigo, professor at Université Libre de Bruxelles, uses his invention Ant Colony Optimization to make the robots perform collectively - they can connect to each other in order to climb over obstacles or cooperate to carry heavy objects. Simon Garnier at Université Paul Sabatier in Toulouse is another researcher who applies swarm intelligence to robots – and people! 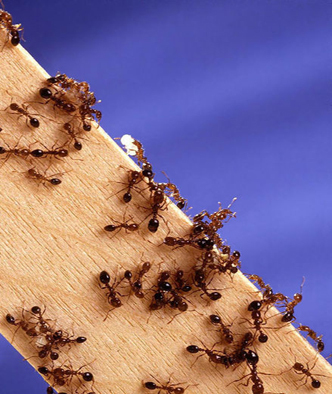 Not surprisingly, ant behaviour can be compared to human behaviour in crowded situations. Knowledge of this can be used to optimize evacuation plans or help understand why and how a calm situation can become dangerous when panic spreads in a crowd. Even human decision making may be explained with swarm intelligence. David Sumpter, at Uppsala University bases his research on the fact that swarms have no distinct leaders and decisions are made "democratically". A model that is based on the collective decisions of groups of hens proved to predict decision making processes between EU nations with impressive accuracy. Some, of course, might argue this that says more about Europeans than about the model, but basically the model shows that people tend to imitate the decisions of others. And that is arguably global human behaviour. Anyway, the prosperity and versatility of swarm intelligence makes it a good example of the innovative power of intersections. The discipline was born because individuals had the courage to break out of their networks and make new connections. And this was as a late as the early nineties. The projects described above is only a selection of examples from what The Medici Effect calls an explosion of ideas. 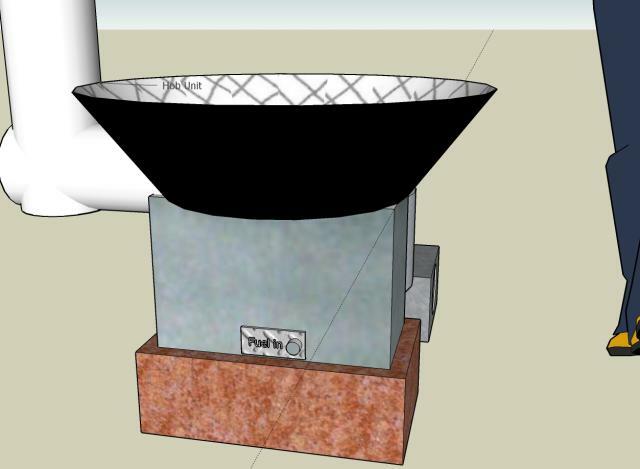 In a five-year project that started in 2007 the revolutionary device SCORE (Stove for COoking, Refrigeration and Electricity supply) is being developed. 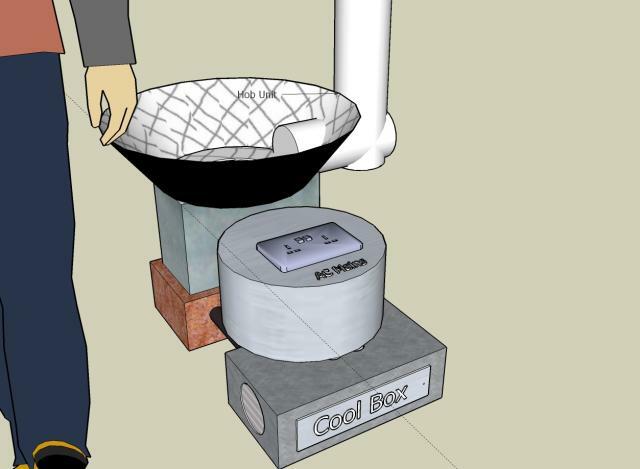 It is an all-in-one solution that is based on biomass and thermoacoustic techniques that is used for heating, for cooling and for generating electricity. The hope is that it will improve environment, health and quality of life on the world’s poorest communities. The SCORE project also represents many aspects of intersectional innovation: Interdisciplinary research, new applications of existing techniques and innovative combinations. And it all results in a product that has the potential of making a big difference. Technically the concept is revolutionary since thermoacoustic technology has never been used to heat as well as cool in one device using biomass fuel. The electricity generating and refrigerator parts will be based on a new application of thermoacoustic processes; heat from the burning wood goes into a specially shaped pipe that generates sound waves through variations in gas pressure. The sound energy is then turned into electricity. Does it sound easy? Well - it isn't. This technology has been developed for much more advanced applications like cooling of satellites, radars and military systems. Part of the challenge at this intersection is therefore to make the device easy to handle and cheap to mass produce. The advantages are that thermoacoustic technology requires few moving parts, it is an efficient way of using the energy in wood, and it is less polluting than open fires. The SCORE consortium is funded by grants from the EPSRC and is an interdisciplinary project where universities in England the USA, Africa and Asia are involved along with a goods manufacturer and an international charity organization. When design student Sigrid Strömgren was a trainee at Sahlgrenska University Hospital in Göteborg she came to be working with researchers specializing in noise. The task she was given was to make an inventory of noise reduction methods in public areas. She had never worked with that before and it was a new world that opened up. But her approach as a designer made her realize that the problem had been addressed in the wrong way - to her it seemed more reasonable to integrate silence into the design rather than making efforts to reduce noise around it afterwards. Standing at this intersection of design and noise reduction research she found the idea for her master exam project. Furniture in public areas is often made of steel and this makes it noisy. 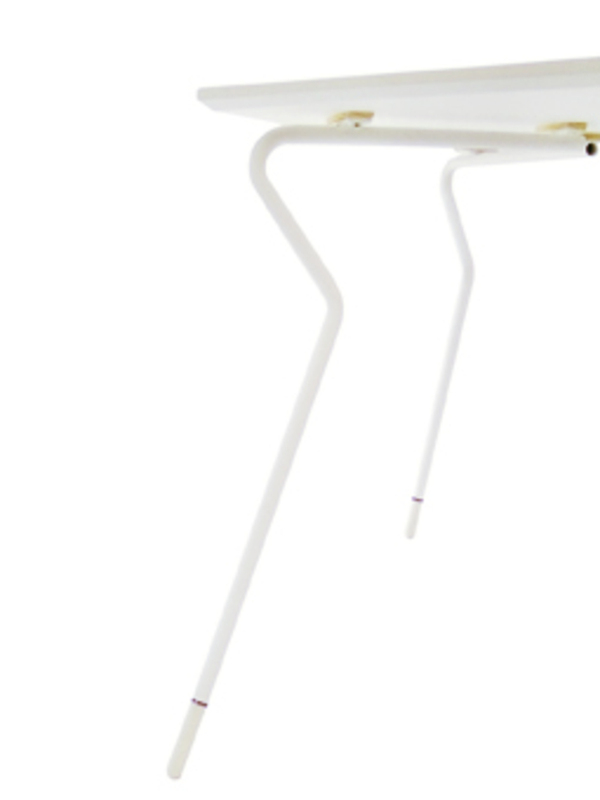 Strömgren's goal was to make chairs and a table that are silent despite the fact that they are made of steel pipes. And with her finished product Quiet Whisper (Swedish) she has succeeded. The pipes are filled with a material that reduces vibrations and she is seeking patents for a couple of other new solutions that were developed for the design. Her ability to see possibilities and achieve innovation at this intersection has paid off; Strömgren has been given a design award for Quiet Whisper and the table has been bought by a furniture company and is going into production soon. Connecting the two fields was an unexpected but excellent way of launching her career.